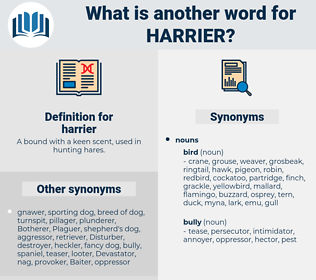 What is another word for harrier? A bound with a keen scent, used in hunting hares. 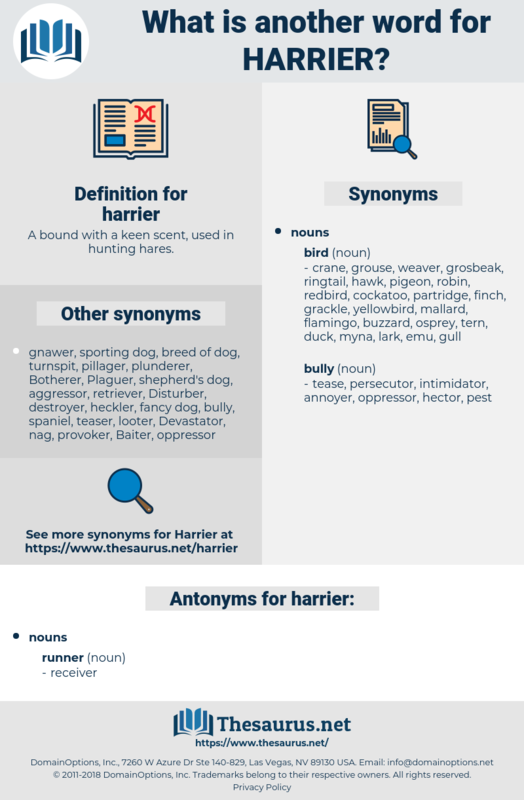 Circus Cyaneus, Montagu's Harrier, northern harrier, marsh harrier, hen harrier, Circus Pygargus, Circus Aeruginosus, marsh hawk.